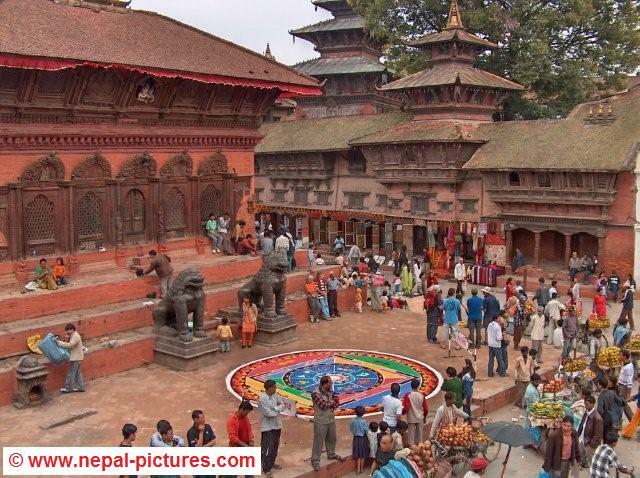 Tihar festival is a Nepalese festival which lasts for 5 days and is celebrated in the month Kartik (October/November). 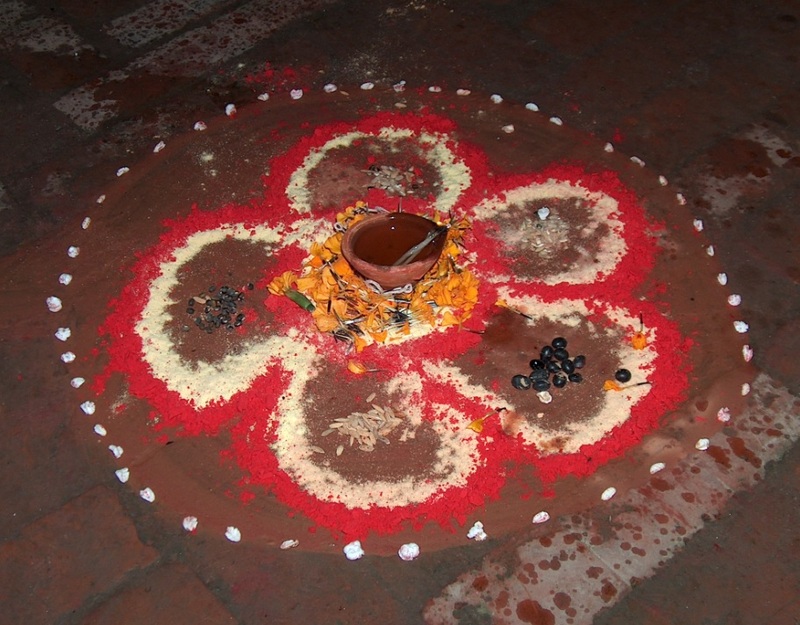 Tihar is the most celebrated festival after Dashain. It is also known as Diwali (or Deepavali) or the festival of lights. On the eve of Laxmi Puja candles/lights are lit both inside and outside the houses. The next day is also Nepal Sambat (Newari New Year) and the last day is Bhai Tika, which is celebrated to worship brothers for their long life. Below you’ll find more Tihar related photos. Picture of a Rangoli (beautiful and colourful decoration) at Durbar Square in Kathmandu during the Tihar festival on New Years day. 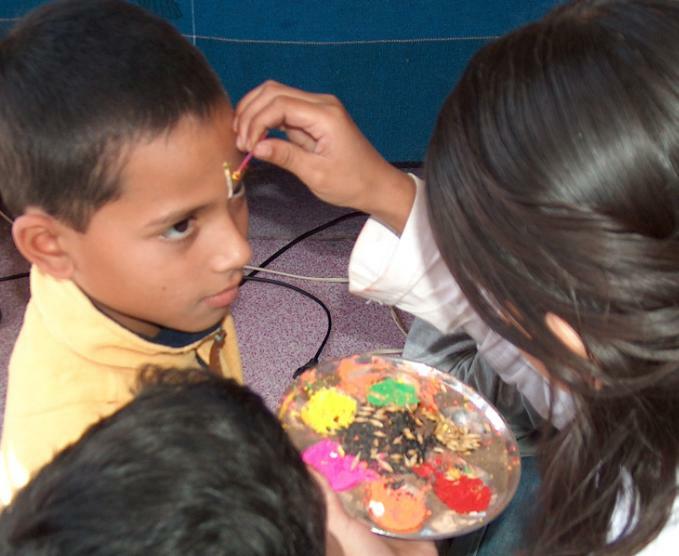 A Nepali girl giving Tika on the forehead of one of her brothers on the occassion of Bhai tika during the Tihar festival.